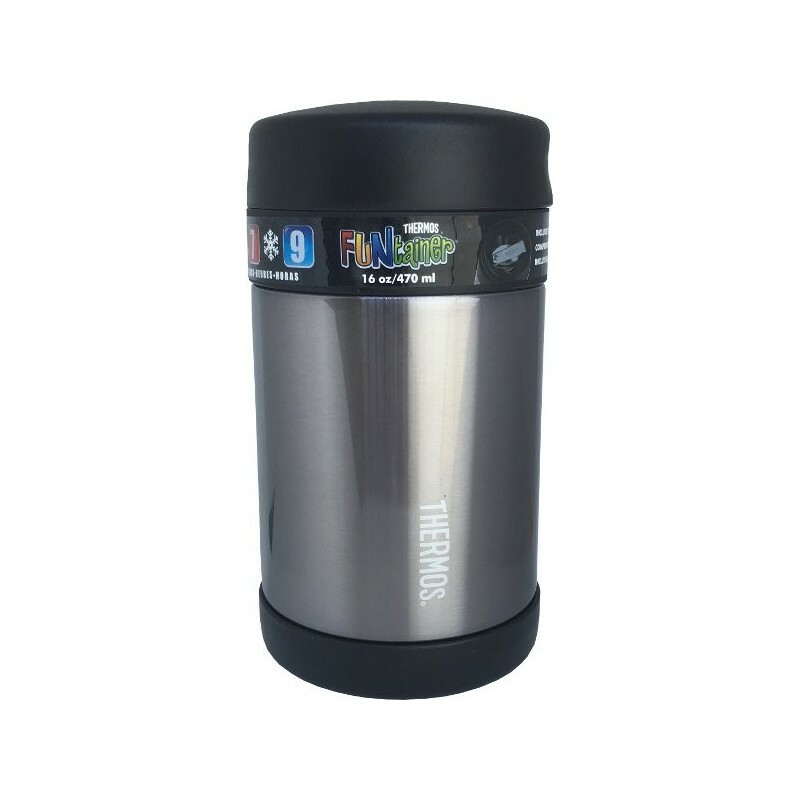 BPA free, stainless steel, insulated food jar with a spoon in the lid for convenience. Contents kept warm for 7 hours or cold for 9 hours, meaning it stays fresh and at a safe temperature for safe consumption. Black charcoal colour, 16oz/ 470ml. Folding steel spoon in lid means you can transport lunch compactly and simply. I have been craving soups and noodles for lunch but didn't have tupperware that was spill proof. I ended up choosing an insulated food jar because it's leak proof AND I don't have to heat up my food in the long microwave queue at work. 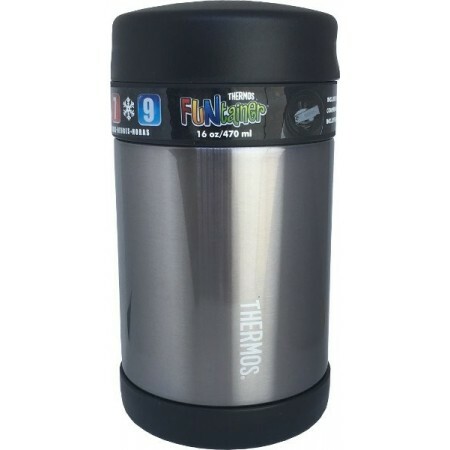 This Thermos is a neat and tidy size - very transportable. And instead of the metal spoon in the lid, I store fresh garnish like spring onions or coriander in that compartment because we have spoons at work. Seriously love this cute jar.